Students participate in an advanced professional level Ballet and Modern technique classes. 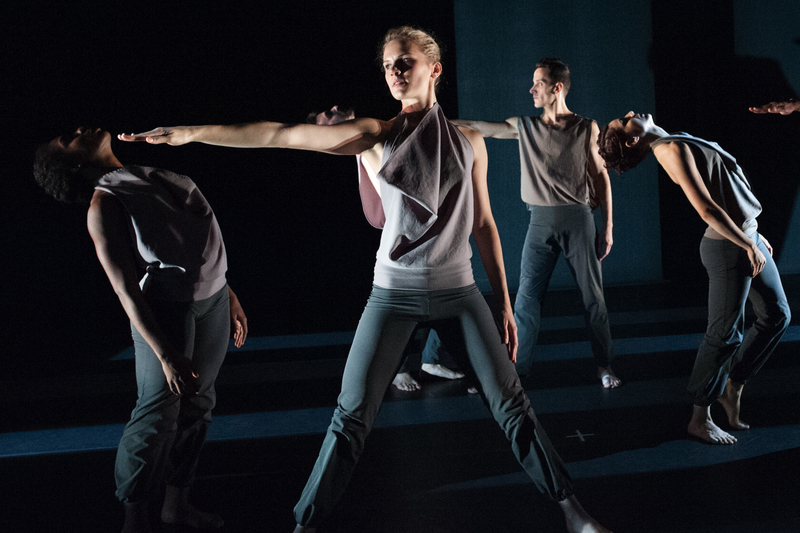 Afternoon classes include repertory taught by Kate Weare Company dancer Thryn Saxon. Performance opportunity for friends and family during our Friday Student Showcase. Auditions are required. Utilizing repertory material from a variety of Weare's work, students will explore the nature of powerful performing: clear yet nuanced phrasing, sensitivity to self and others, moment-to-moment decisions that shape meaning in a viewer's eye, and authenticity in interpretation - all hallmarks of Weare's work and the Kate Weare Company dancers.